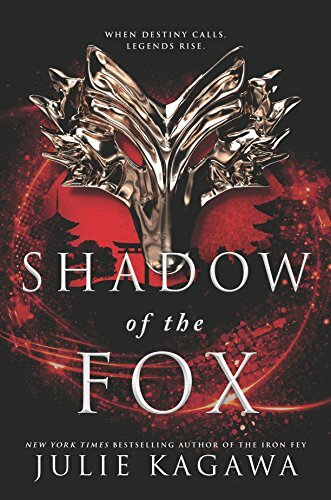 Julie Kagawa’s action-packed Shadow of the Fox stuns with its immersive Japanese mythology and wholly inviting and intriguing characters. On Yumeko and Tatsumi’s shared journey across beautiful lands, they cross many perilous obstacles and create a small rag-tag crew of unlikely allies to get Yumeko to her destination—no matter the cost. With a beautifully imagined world and the perfect mixture of lore and reality, this story captivates from the beginning and holds it until the very end. Shadow of the Fox is a character-driven narrative detailing two very different sides of the coin: Yumeko’s righteous path and Tatsumi’s hidden narrative. I loved the contrast between the two characters and how her naivety played against his harsh realities as a very skilled assassin. 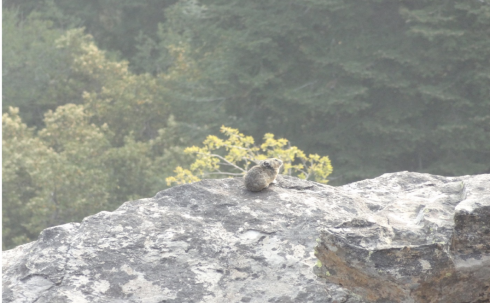 Each taught the other things they had never learned or experienced in their limited worldviews, and they formed attachments as the story widened and took flight. With each sub-plot they grew closer and the paths of their individual missions—along with their lies and truths—became blurred, creating new opportunities for tension and struggle. The world-building and its mythologies were vast and expertly blended into the story, never drawing attention away from the characters, and I became fascinated with every creature and aspect to this world. So often the world overshadows the characters and their plots (or vice versa), but each held the right amount of space, never once losing me—even as someone not versed in the subject matter or culture. As the first in a new series, Kagawa paced this first installment well and left me with as many new questions as she answered. The action carried through the entire novel and kept me on the edge of my seat with every turn. But also among the on-the-go were wonderful moments of brevity and growth where their connection expanded in the quiet spaces between them, and I lived for those small yet significant moments in seeing their feelings grow—even if neither had an idea of what they were building. Shadow of the Fox was an impressive opener to their world and I’m left desperate for what’s to come next. Enter a beautiful and perilous land of shapeshifters and samurai, kami and legends, humans and demons…a world in which Japanese mythology and imagination blend together to create a brand-new and lushly drawn fantasy adventure from the New York Times bestselling author of The Talon Saga and The Iron Fey. Fans of Sarah J. Maas, Julie C. Dao, Marie Lu, Cassandra Clare and more bestselling YA fantasy will be captivated by book one of this enchanting new series.